All co-op combat, all the time. Knights of Valour isn't a newcomer to the gaming scene. The sidescrolling action series saw its first release in arcades back in 1999 and has thrived in China and Japan ever since, spawning nine sequels/remixes in the last 15 years. Now, Knights of Valour is getting ready to make its console debut on PlayStation 4, complete with online co-op. The latest Knights of Valour is a brand new game, not a remix or re-release of an older title. The console overhaul adds a ton of new upgrades, characters, secrets, and boss battles, all while carefully preserving the spirit of its arcade heritage. Players take control of a hero with a highly customizable skillset, all of which is upgradeable as you collect and find new equipment. The core of the game is focused on hack and slash combat, of course, so no matter how much you geek out over stats, at the end of the day it's about destroying some baddies. Online co-op is baked into the Knights of Valour experience from the start. 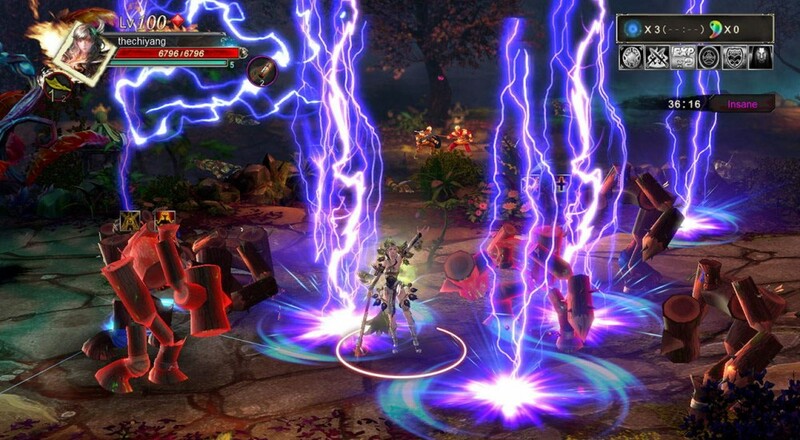 Up to four players can cooperate in the massive fray, each unleashing their own set of abilities to keep foes at bay. The game will be a free to play release modeled somewhat after the quarter-pumping arcade experience. Other paid content will include new characters, items, and skins. No release date has been set for the North American or European versions of Knights of Valour. The title is already out in some Asian markets, so the wait shouldn't be long. Page created in 1.6227 seconds.